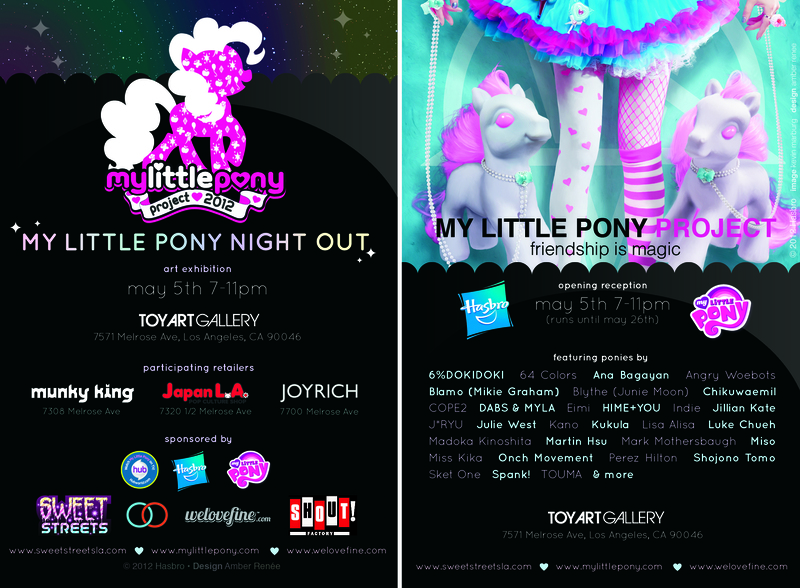 Brittany and I had the opportunity to attend a My Little Pony art exhibition (see more photos here)! For anyone that knows us, it’s no surprise that the first item of business was figuring out our outfits costumes. 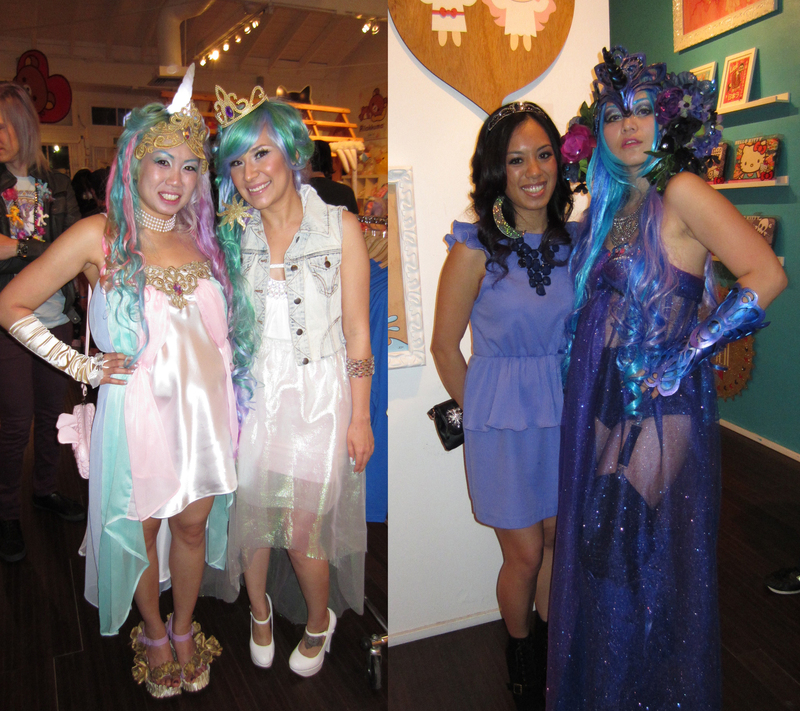 She went as Princess Celestia and I as Princess Luna. First up, my Princess Luna dress. First I removed the shoulder pads and sleeves. 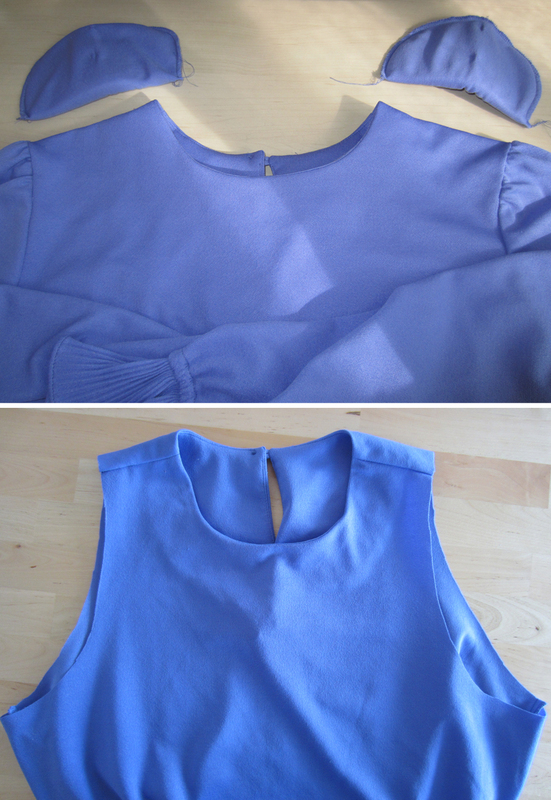 Next came separating the top half, peplum, and bottom half of the dress. On the top and bottom halves I took in the side seams. The peplum I left alone. Then I pinned and sewed the peplum back onto the bottom half of the dress, then sewed the top and bottom halves back together. 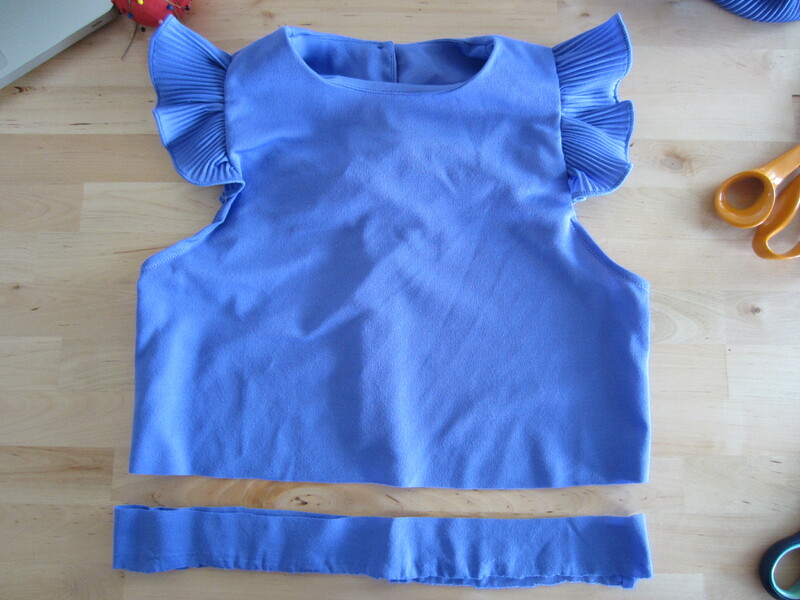 Next was taking the ruffle from the sleeve, cutting it ever so slightly (see red line), and sewing it to the armhole. Trimming it like so helps it blend into the armhole. After all this was said and done I had to separate the top and bottom halves AGAIN because I forgot to take length off the torso. 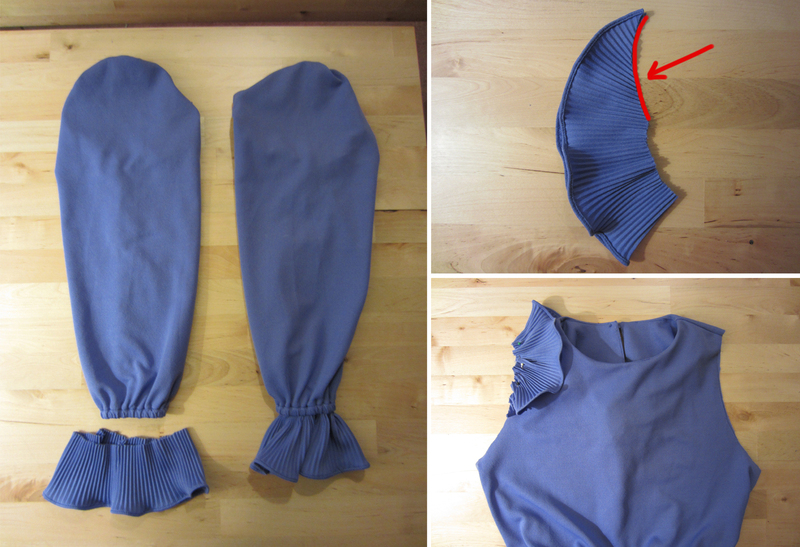 Once I shortened it, I reattached the pieces and sewed the elastic back onto the waist. Now for Britt’s skirt. 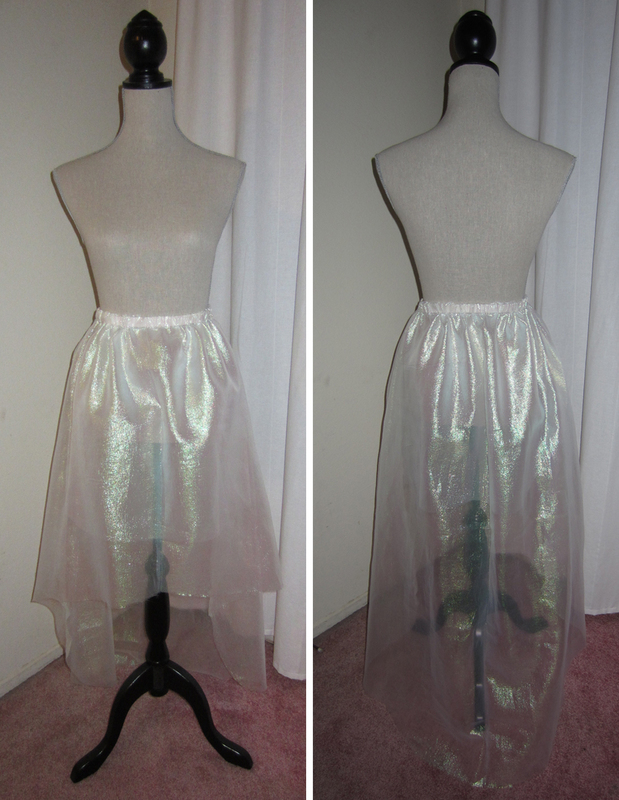 I basically used this method but cut the bottom so that it was a high low skirt. Here’s how. 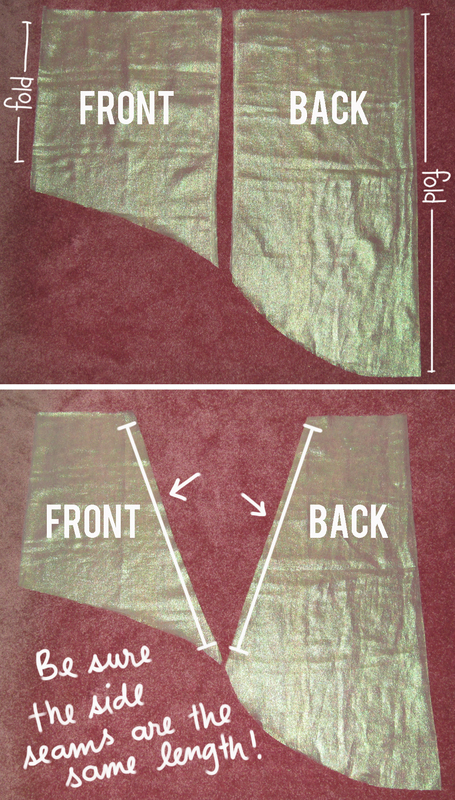 Cut curves into the bottom hem. 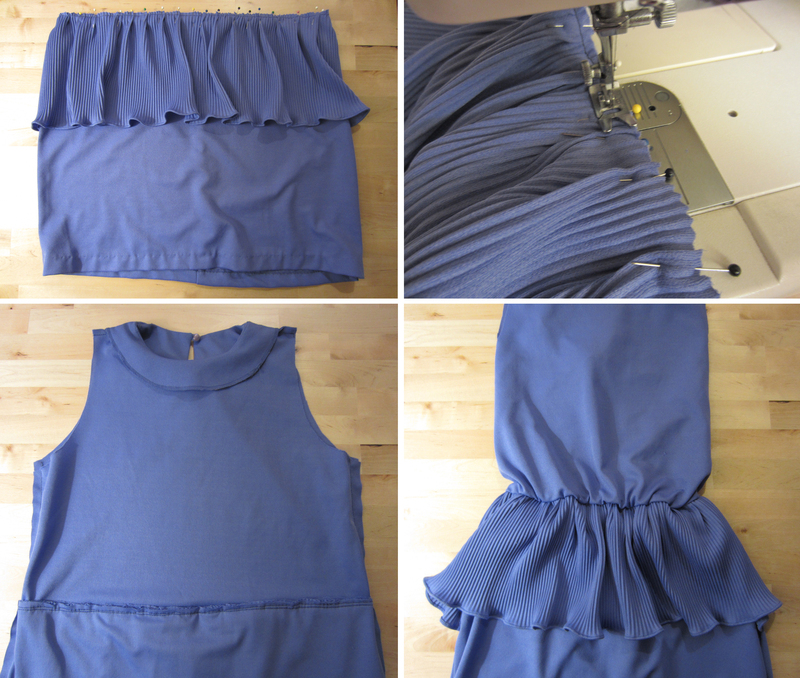 Cut side seams at an angle to create an A line skirt, then sew side seams together. We met some doppelgängers! 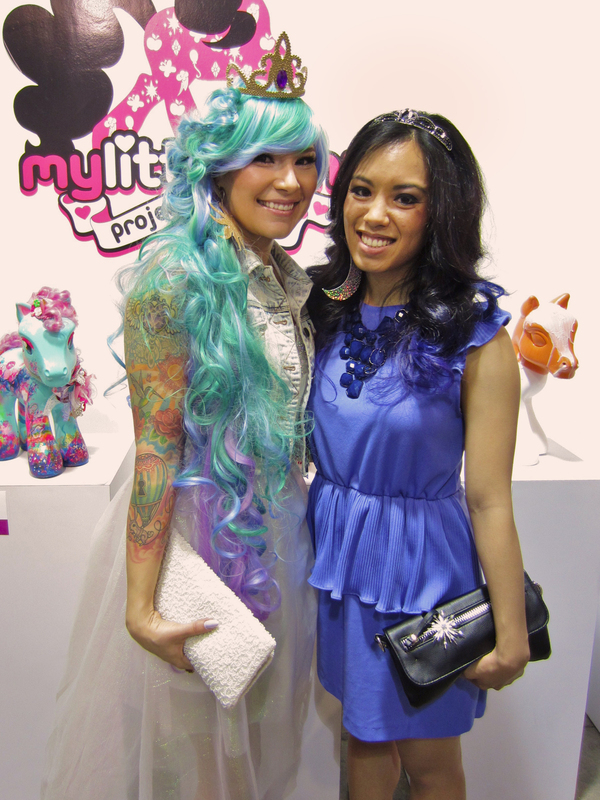 Although I think this girl was the Nightmare Moon to my Luna. 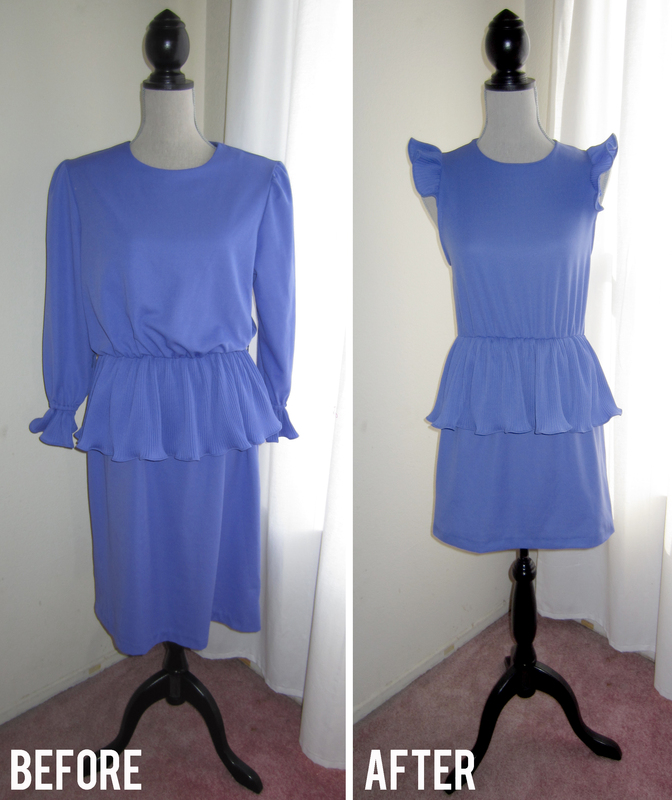 Great job on the peplum refashion!!!! where did you get the iridescent fabric? Hi Andra! The local JoAnn fabric happened to carry some!